This iconic Hong Kong landmark took over four years and millions of dollars to build. 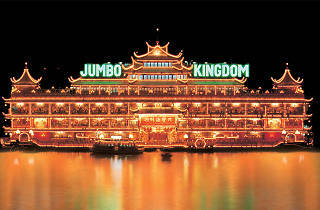 With the look of an ancient Chinese palace, the Jumbo King draws in tourists and locals alike. 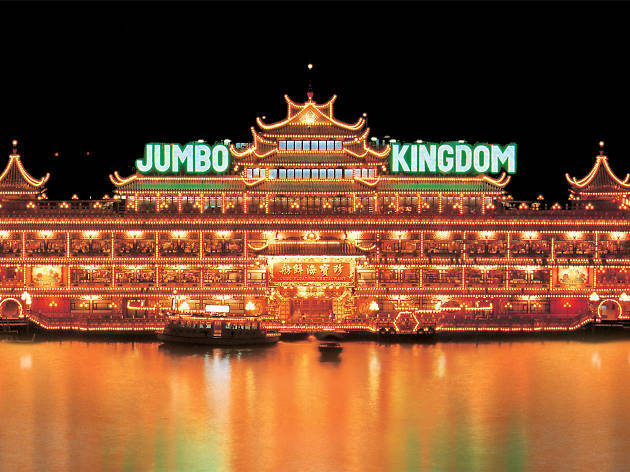 Celebrities far and wide have made a visit to the floating restaurant including Queen Elizabeth II, David Bowie, John Wayne and Gong Li. Jumbo was featured in several movies, most notably, in the James Bond film The Man with the Golden Gun, and was once a pit-stop featured in the American reality show The Amazing Race.